Where Is the MCU Soul Stone? Ever since the post-credits scene in Thor: The Dark World when Volstagg revealed the existence of the Infinity Stones, fans have been keeping track of the powerful artifacts throughout the Marvel Cinematic Universe. Five of the six stones have been confirmed on screen, and since the plot of Avengers: Infinity War deals heavily with Thanos attempting to obtain all of them, fans are left wondering: where is the Soul Stone? It was assumed that either Guardians of the Galaxy Vol. 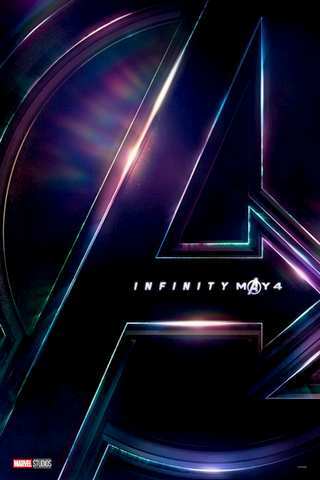 2, Thor: Ragnarok, or Black Panther would reveal the artifact, feeding into the release of Avengers: Infinity War, but now all three movies have been released without a wink or a nod to its existence. So, what's the deal? Each movie served largely as a self-contained affair, building toward the epic confrontation against Thanos in only tertiary scenes that springboard off the main narrative. After the Guardians thwart Ego's attempt to control the galaxy, Nebula and Gamora go their separate ways with the former vowing to murder their father. Thor managed to thwart Hela by destroying Asgard, though he did save his people in the process. They embarked to return to Earth, prefaced by words his father Odin said before he died, though they're interrupted by Thanos intimidating ship, the Sanctuary II. And in Black Panther, Shuri appears to have removed the mental conditioning that gives HYDRA control over Bucky Barnes. None of these films detail or even hint at the existence of the Soul Stone. The previous films revealed the Tesseract (The Avengers), the Aether (Thor: The Dark World), the Orb (Guardians of the Galaxy), the Staff (Avengers: Age of Ultron), and the Eye of Agomotto (Doctor Strange) as five of the six Infinity Stones. Two of them reside on Earth in the possession of Doctor Strange and the Vision, while the other three are spread throughout the galaxy. Thanos will likely obtain the Tesseract first, considering Loki was last seen with the item in Thor: Ragnarok. The Aether was in possession of the Collector as of that Thor: The Dark World, and leaked footage revealed Thanos makes a stop on Knowhere to find it. The Orb is in possession of the Nova Corps, who haven't been seen since the end of Guardians of the Galaxy. The Mad Titan has a lot of ground to cover in his quest to obtain all six Infinity Stones. Avengers: Infinity War premieres on May 4th.